Cuperose skin manifests through excessive irritation and it’s the second evolution stage of rosacea, an inflammatory skin disease. This condition is characterized by dilating blood capillaries, but an exact diagnosis can only be established by a qualified dermatologist. This type of rash usually affects women between 30 and 50 years old, especially those with pale skin. 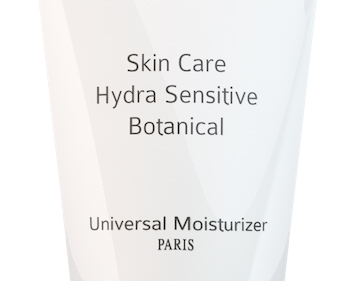 Hydra Sensitive ensures that sensitive or irritated skin is well-hydrated and nourished. The cream maintains and protects the skin’s physiological balance, while activating the regeneration process. 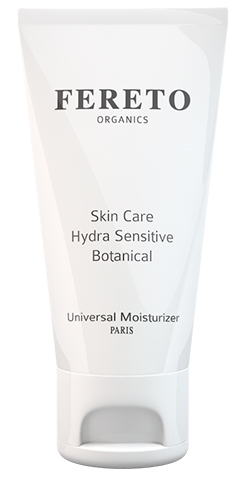 Moreover, the organic hydrating cream for sensitive skin reduces the number and size of visible capillaries, rewarding the skin with a smooth, uniform look. 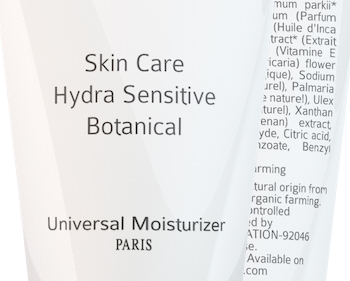 Hydra Sensitive also acts as an anti-inflammatory and decongestioning agent. This organic dermocosmetic product is produced from top quality natural ingredients: camomile extract, aloe vera extract, shea butter, natural coconut oil extracts and hyaluronic acid, along with other extracted emulsions. These natural treasures – rich in nutrients – nourish, smoothen and protect the skin every time they are applied. The organic, unrefined shea butter has a powerful hydrating effect on dry irritated skin and, at the same time, its composition regenerates and invigorates, acting as an UV protection agent. Moreover, shea butter is well-known for stimulating collagen production and preventing wrinkles and other ageing signs. 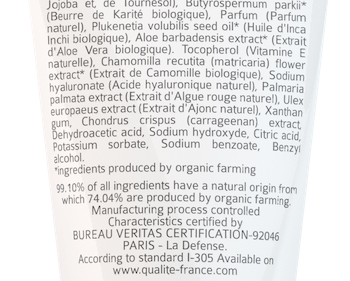 The Hydra Sensitive cream, designed for sensitive and couperose skin, is part of Fereto organic dermocosmetics line, created together with dermatologists and chemists in French laboratories, bio-certified by Qualité France. Fereto guarantees respect towards the environment as well as towards our clients, through every aspect of their production process. Our products are obtained from 100% natural ingredients, have not been tested on animals and their packaging is made from biodegradable recycled materials. We have witnessed amazing results with people suffering from eczema, dermatitis and rosacea. Although Fereto’s products were not necessarily designed for treating these skin conditions, clearly their list of benefits is endless. Why choose organic? Because we care about our health!